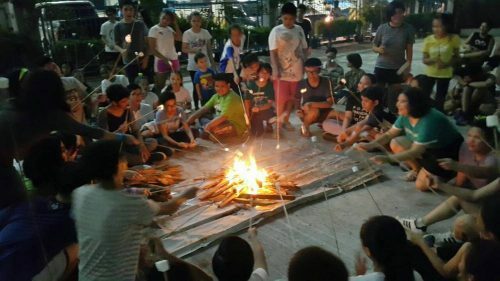 July 28, 2018 was a big and memorable day for the BCBP Cebu Northeast Chapter Teens as they spearheaded KKB (Kasadya ug Kantahan sa Bonfire) at PAREF Springdale School for Boys. 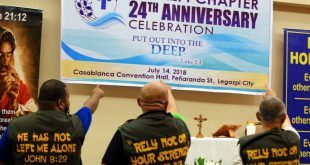 It all started as an idea of FK and JK Sanchez, (twin sons of BCBP Northeast members Ken and Emily Sanchez), during the culmination of Camp Courage last May 2018 – to invite other BCBP Cebu teens in one of the scheduled Northeast Chapter teen activities. 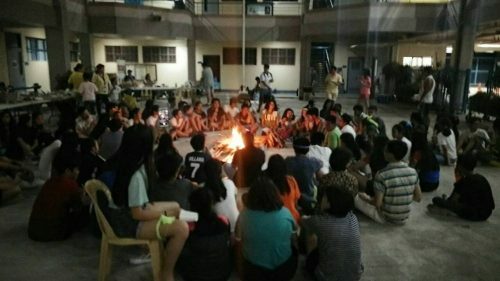 Guided by the Holy Spirit, what was once an idea easily caught fire and ignited other BCBP Cebu teens to respond to the invitation. 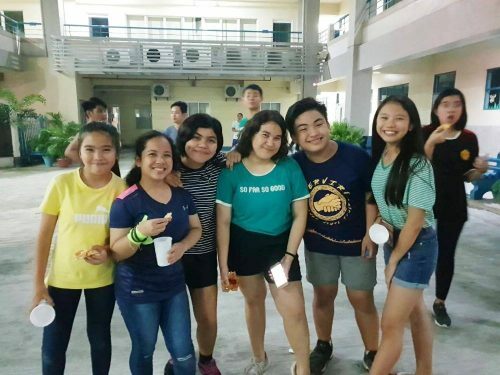 After weeks of planning and working closely in between hectic schedules, these teens became more fired up with great anticipation as the day grew closer and the registered number of participants grew bigger. 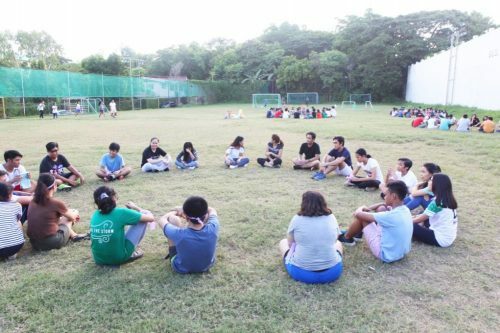 Like a mustard seed, what started as a small idea of calling all BCBP Cebu Teens to gather together, sprung into a huge tree and came to fruition. 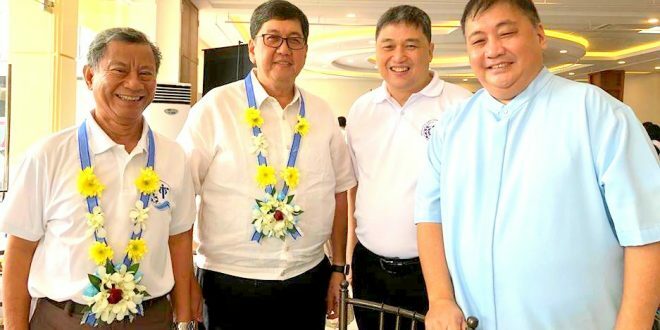 What was once planned as just a Northeast chapter activity became an area activity, a first in BCBP Cebu. The assigned Teen Leaders from each Chapter came early for last minute preparations. 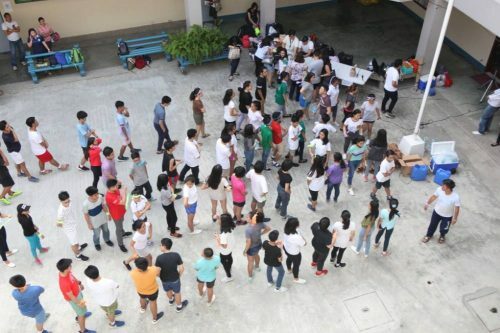 A total of 117 teens from the different BCBP Cebu Chapters trooped to PAREF Springdale School in the sizzling Saturday afternoon of July 28. A sea of mixed emotions initially filled the the school’s quadrangle as the participants came in for registration. Timid and shy; friendly and bubbly; silent and spirited teens either came alone or in groups. 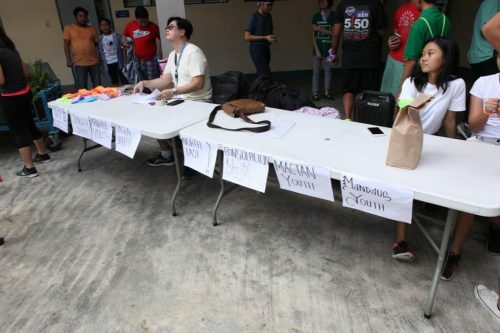 But the burst of excitement started to flash from their eyes as different team colored wrist bands were distributed. 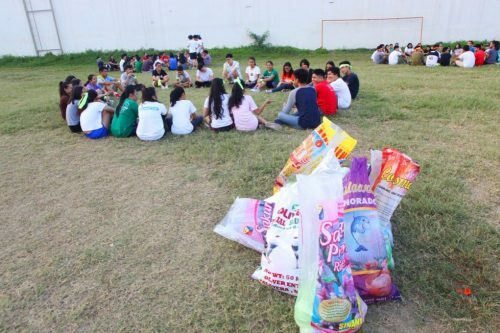 Their eagerness to get to know different teens from other chapters was evident. Likewise, old friendships were rekindled as they saw familiar faces which they have not seen for quite sometime. 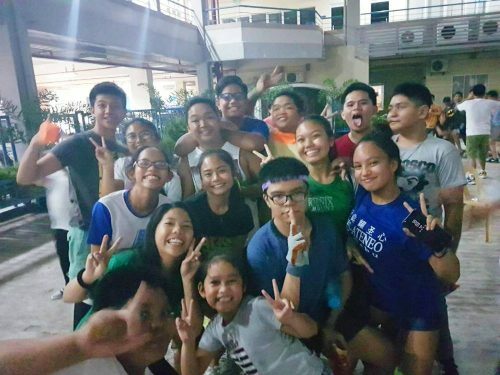 Four teams, namely, the Blue Titans, Tang Orange, Ninja Purple and Greenades, did not waste any minute to get to know each other and make each other feel at home. (Home in the BCBP). 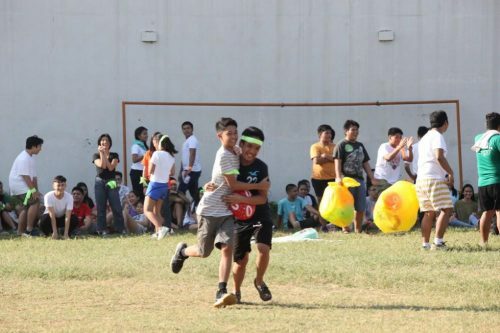 Larong Pinoy kicked off the games in the soccer field the entire afternoon. Sweaty and soaked, the participants did a quick 30minute change outfit for their volleyball and basketball games which followed at 6pm at the gym. 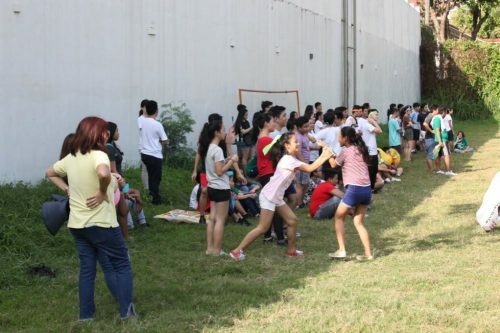 Contrary to what we thought- that after an afternoon and early evening of shouting, playing and cheering, the teens would be tired – their batteries instead grew stronger than ever and never seem to ran out! 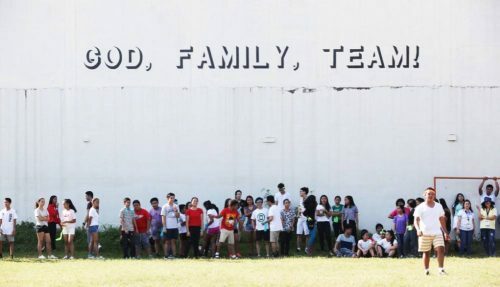 Dinner was served to these hungry yet energetic teens after grace before meals was said. Once filled, the mood slowly transformed to a mellow and relaxed atmosphere as the teens took their places around the bon fire. An encouraging message from BCBP Northeast Chapter Head, Ed Shan, reminded these teens to continually keep their bond strong and to love/seek/keep Christ in their lives. 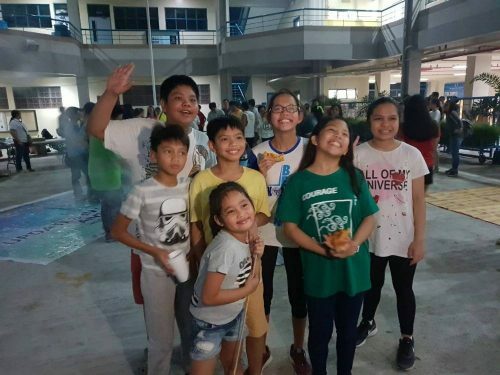 A powerful teen worship, led by Josh Ugalino was set into action which evolved into a burst of worship songs played at the quadrangle with hands lifted up high in thanksgiving and prayer. It was truly a sight to behold! Heartfelt sharing from the teens followed recounting their Initial Christ experience. 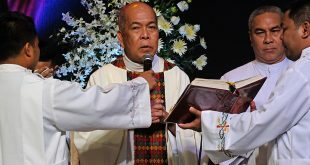 In closing, the Family Life Ministry director gave a “take-home” message to the teens reminding them to be brave and to be courageous once they step out of their comfort zones. 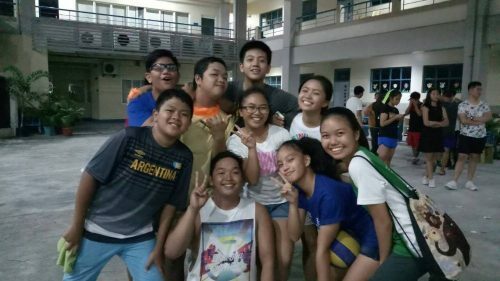 They were empowered with a Mission as teen ambassadors of BCBP to invite more teens and to set good examples to others. Smores making, dancing and more eating capped the night until the teens were fetched by their parents. And then the quadrangle became dark, empty and silent. 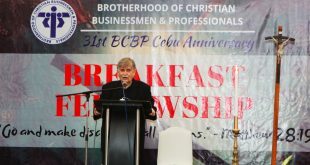 But we know that somewhere in several families around Cebu, there is now a glowing BCBP teen heart who has been ignited or rekindled for his/her mission and passion in what is yet to come for BCBP Youth! 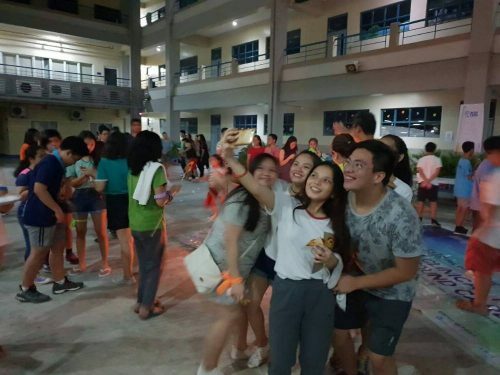 We have witnessed how these teens coming from different chapters were instantaneously united in Christ’s love and worshipped boldly together as children of God. 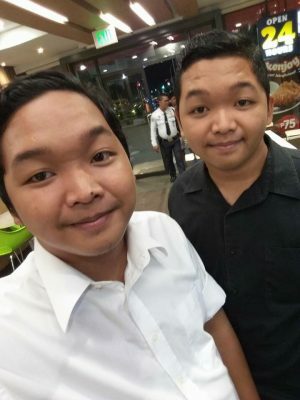 The BCBP Cebu Northeast Family Life Ministry fervently prays for these youth to continue to shine and to be a light for others. 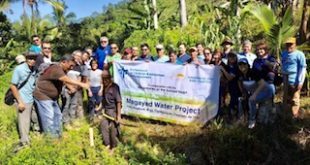 All praise and glory to our Lord who has graciously blessed this activity!